Grove Park is a suburban area in south east London, incorporating areas of the London Boroughs of Lewisham and Bromley. Grove Park has 4 main churches from different denominations: City of Faith Church, St Augustine’s Church, Kings Church Downham, and Burnt Ash Methodist Church. Grove Park can be reached by car via the A20. Grove Park has excellent public transport links and Grove Park railway station runs frequent services to London Charing Cross and London Cannon Street. Lanes School of Driving has been teaching locals to drive since its inception in 1914. Ever since, it has established an outstanding reputation for quality amongst the local community. At Lanes, each pupil is assessed for their individual strengths and weaknesses and presented with a specially tailored course. Lanes specialises in intensive driving courses for efficient learning. Theory classes are taught alongside practical lessons and can also be taken separately as a theory course. On passing their test, pupils can improve their skills with an array of after pass courses. These courses include: Motorway Driving, Parking Skills, Advanced Driving, and Pass Plus. Lanes is aware that pupils lead packed lives. Accordingly we offer our pupils great flexibility in scheduling lessons. Lanes offers both regular weekly classes and single one-off lessons. Lanes is committed to providing all pupils the best quality of instruction. To this end, Lanes ensures that instructor-pupil ratios are always one to one. Lanes has a range of superb modern cars for our pupils to experience. Lanes believes in the highest standards of customer service and pupils can be collected and dropped off on request. 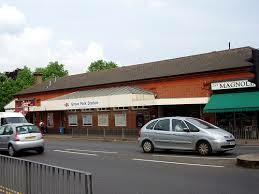 Lanes have been providing driving lessons in Grove Park, London for many years. Please call us today on 020 8166 5678 or click here to send us an email via the contact page. Lanes has over 40 experienced driving instructors at the service of our pupils. Pupils are able to chose the instructor of their preference. Our instructors have taught pupils of all ages to drive: from age 17 to age 70. Instructors are aware that beginners can be nervous and will offer full support and guidance. Each instructor is registered with the DSA as an Approved Driving Instructor. Each pupil will keep the same instructor throughout their lessons who will be familiar with their sticking points. Lanes have a team of driving instructors in Grove Park, London. Please call us today on 020 8166 5678 or click here to send us an email via the contact page. Learning to drive can be daunting. We often find that female drivers are apprehensive about being assigned to a male instructor. Lanes is happy to offer pupils one of our female driving instructors on request. Our female driving instructors are very gentle and considerate. They will make sure that their pupils feel calm and relaxed during their lessons. Lanes have a selection of female driving instructors in Grove Park, London. Please call us today on 020 8166 5678 or click here to send us an email via the contact page. Some students prefer to learn on automatic cars. It is true that manual cars afford greater control to the driver. Nevertheless, automatic cars certainly provide a less intimidating introduction to the world of driving. They are simpler to control and they are impossible to stall. We usually find that our students learn faster in an automatic. Lanes have a selection of automatic driving instructors in Grove Park, London. Please call us today on 020 8166 5678 or click here to send us an email via the contact page.